Keen Koala: The Prepara Herb Savor Makes Your Fresh Herbs Last Longer! 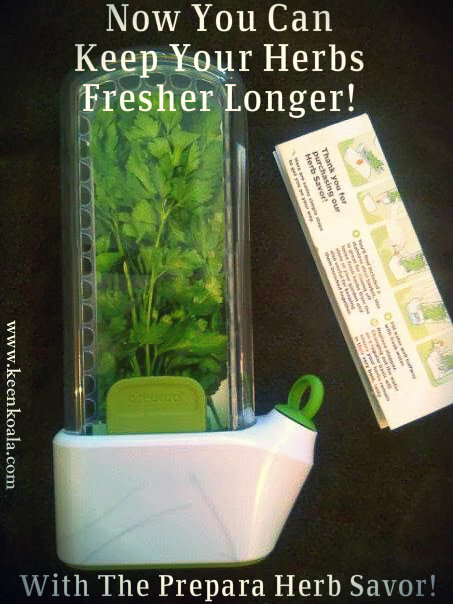 The Prepara Herb Savor Makes Your Fresh Herbs Last Longer! My husband and I eat a fair amount of fresh herbs. That being said, we still can't seem to make it to the end of a bunch of parsley before it becomes limp, soggy, and slimy. I knew there had to be a way to make them last longer! A few weeks ago, I discovered and purchased a neat little kitchen gadget called the Prepara Herb Savor. It claimed to extend the storage time of fresh herbs. Usually, parsley stays crisp and green in my refrigerator for 1-2 weeks tops, so I was curious to see if this device could keep my herbs fresher longer! 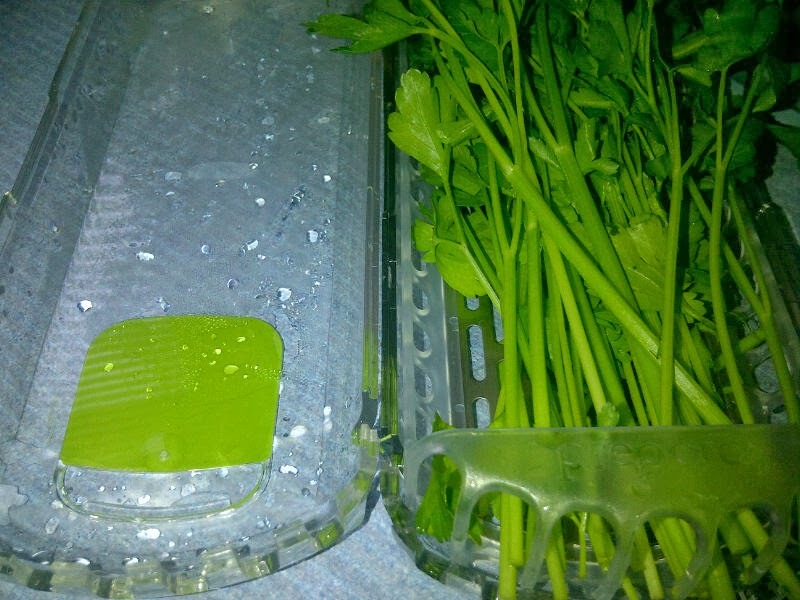 After thoroughly washing and drying the Food Savor, I washed a bunch of parsley and pat dry, then all I had to do was place the parsley in the plastic holder and snap the 2 sides closed. 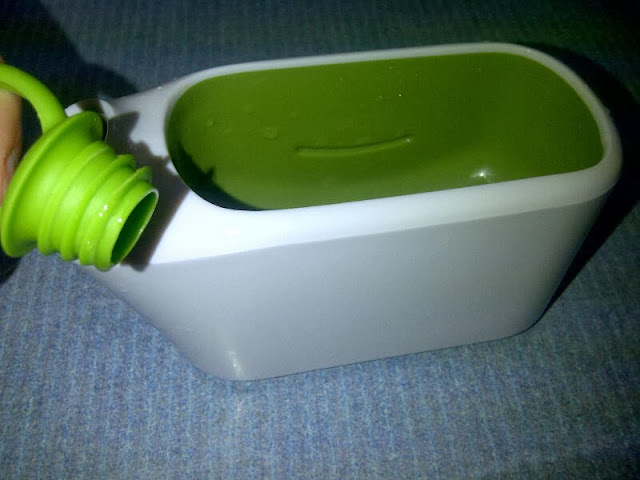 The plastic holder slides into the base unit, which is then filled with water. 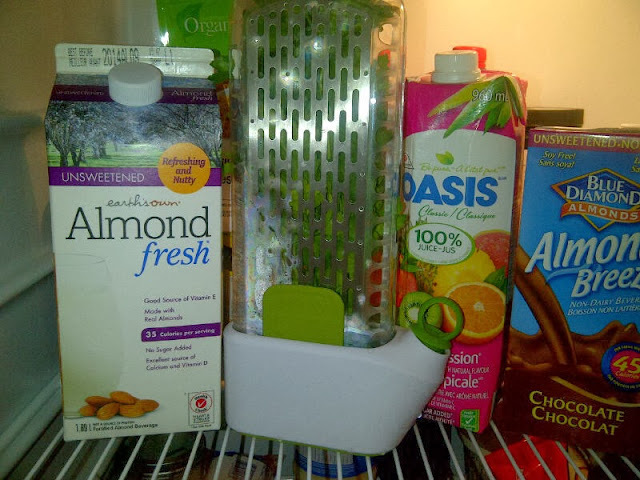 Then the entire Herb Savor is placed into the refrigerator door. So far, my parsley has stayed fresh, crisp, and green for about 3 weeks. I have changed the water in the base unit about once or twice per week, usually whenever I'm using some of the parsley. 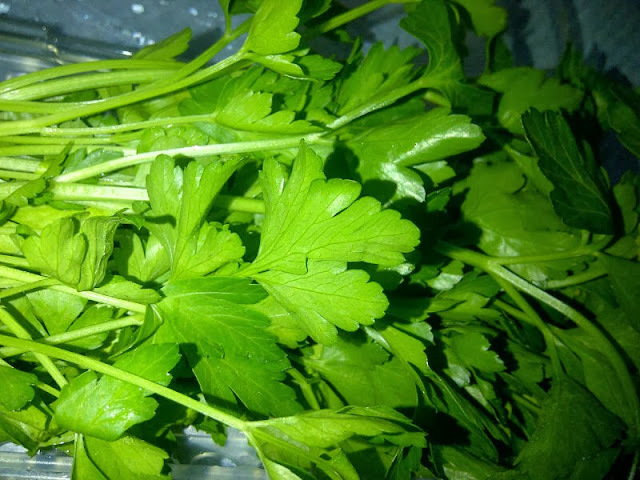 I also kept some of the parsley in the vegetable crisper to use as a comparison, by the end of 3 weeks, the parsley stored conventionally had begun to turn yellow and limp. The Herb Savor is also quite attractive and I must admit that I enjoy looking at it when I open my refrigerator. It almost looks like a fridge plant, and we all know how much I love plants! Overall, the product does exactly what it claims. It extends the life of herbs. There are really only a couple downsides, one is that it requires a bit more effort than just opening the vegetable crisper and grabbing a bit of parsley. The other is that I wish the herb chamber were larger, as it would not fit an entire bunch of parsley, only about 2/3 of a bunch. These things, however, are a fair trade off for long lasting fresh herbs!